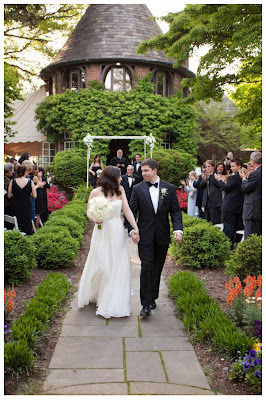 This gorgeous May wedding took place in Wilmington, Delaware -- right near the FineStationery.com office! 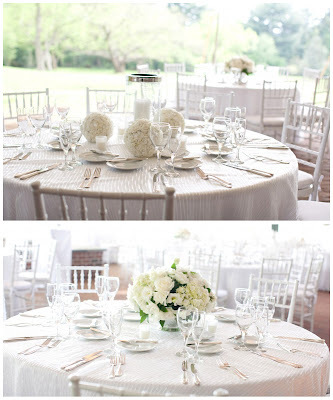 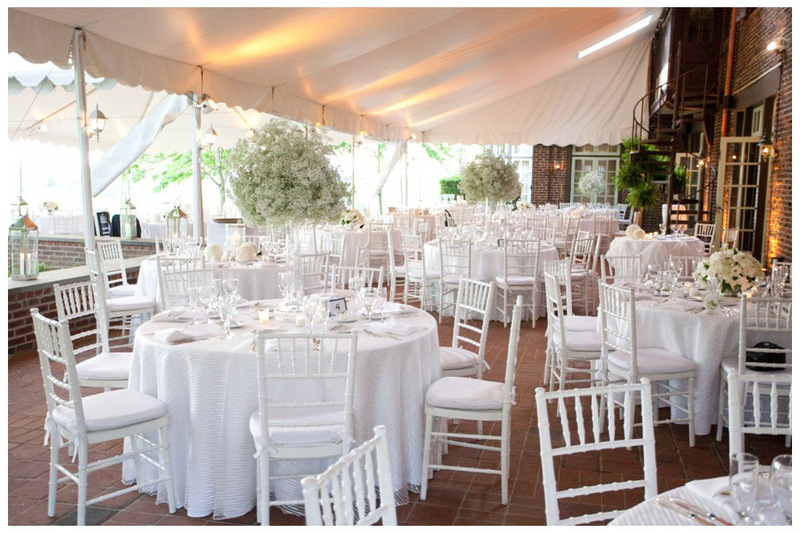 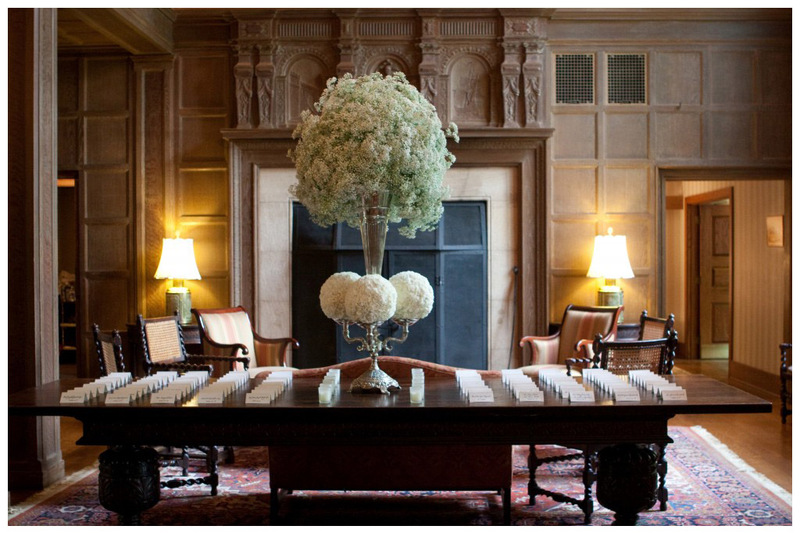 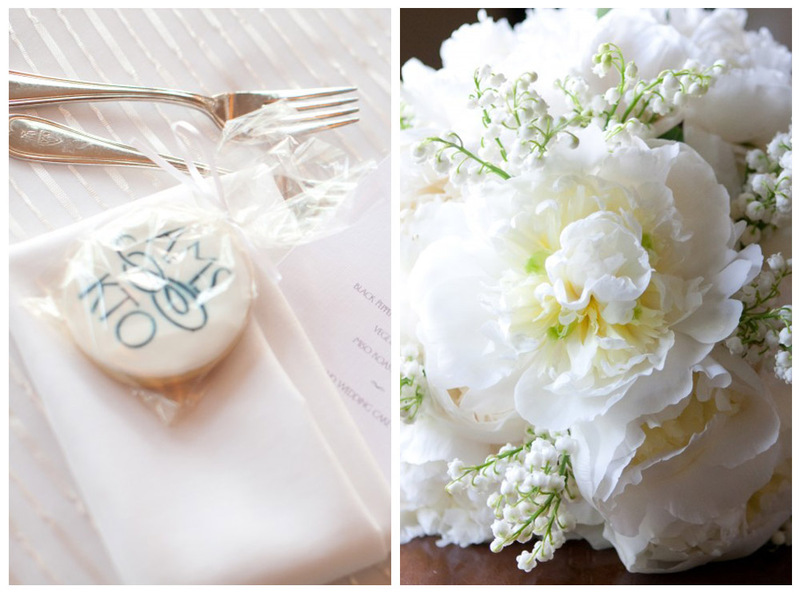 The crisp white palette was a stunning choice for the venue, which is a historic home with a classic English garden. 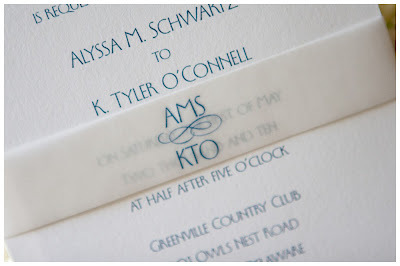 The bride & groom ordered their invitations from FineStationery.com. Donna (our Senior Wedding Specialist) helped the couple with their lovely custom order by adding a vellum wrap with a monogram. 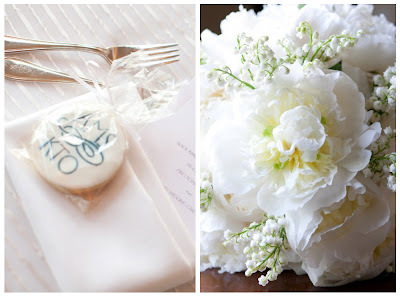 The couple loved the monogram so much that they had cookies created with the same look for guest's favors! The tables are beautiful and unique with an assortment of fresh white arrangements. Congratulations to the newlyweds, and a big thank you to Silk Style Events for posting this wedding on their blog in three parts, each one filled with breathtaking details (Part 1, Part 2, Part 3).